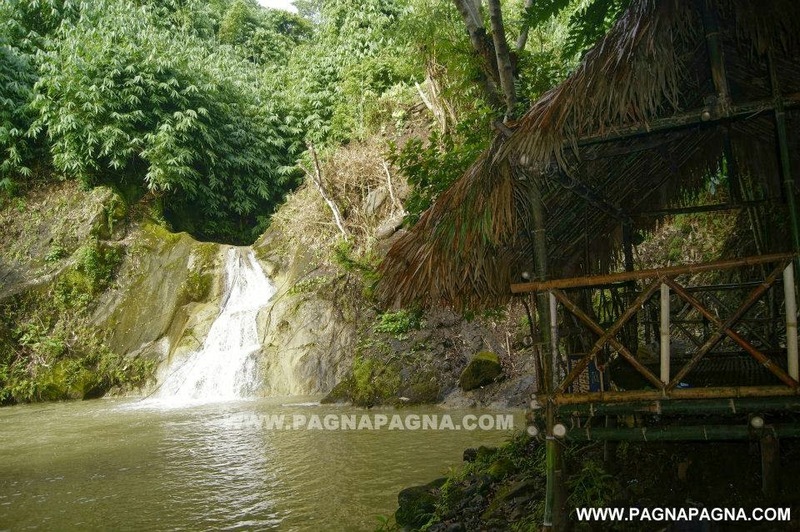 "It is still rainy season and the waterfalls abound, like the waterfalls of San Fernando City, La Union. One of them is known as Kibkibulan Falls." It was our first time to go on farther from the Bacsil Ridge monument area. 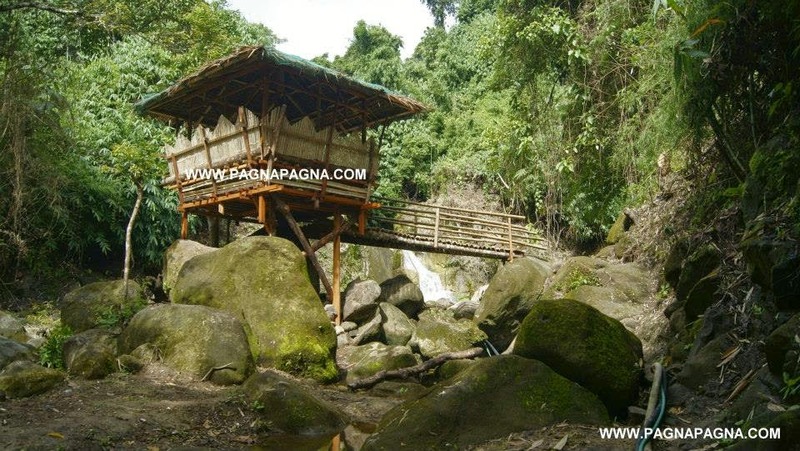 Barangay Pao Sur, where Kibkibulan Falls is located, lies few kilometers further more from that monument. The waterfalls is just few walks from the main road. In our case, unaware, we went there through the back door which is through upper barangay Pao Norte, a much longer travel. We bargained with the tricycle driver at downtown plaza to get us up at the eastern mountain barangay of San Fernando City (5:28 am). 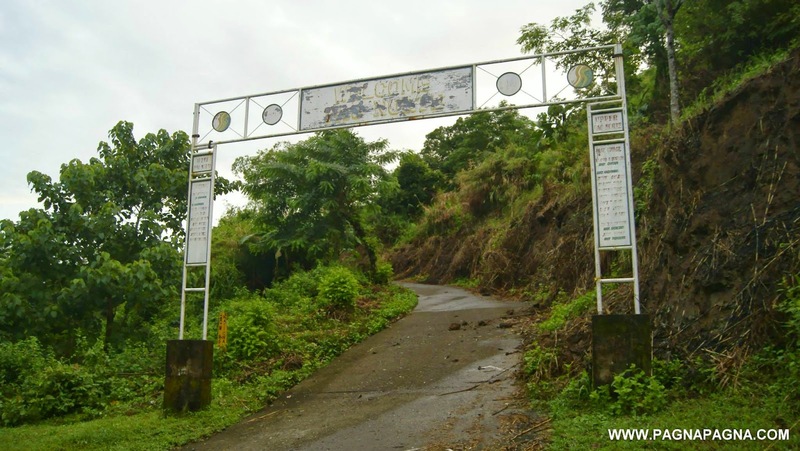 We passed by the Bacsil Ridge monument (5:46 am) and went on until we went down from the tricycle at an intersection where the welcome arch of barangay Pao Norte is located (5:53 am). 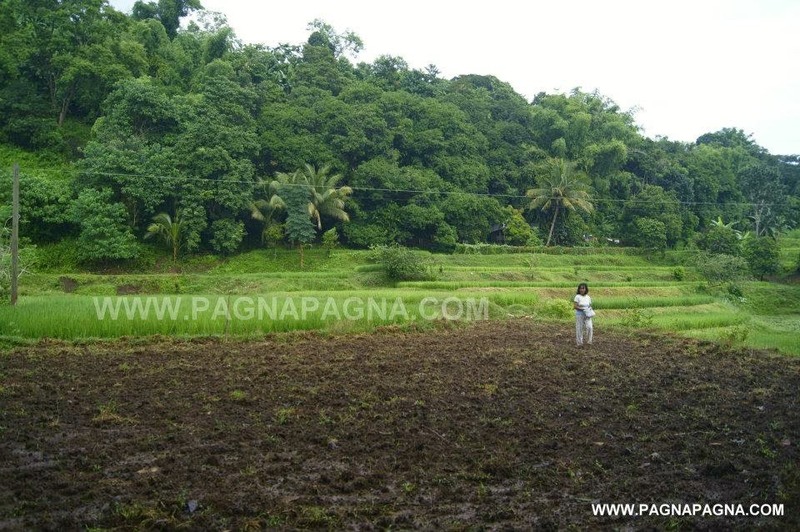 We walked going up along that branching road thinking that it would also lead us to barangay Pao Sur. Along the way we would meet people carrying vegetables which they would probably sell at the city proper. 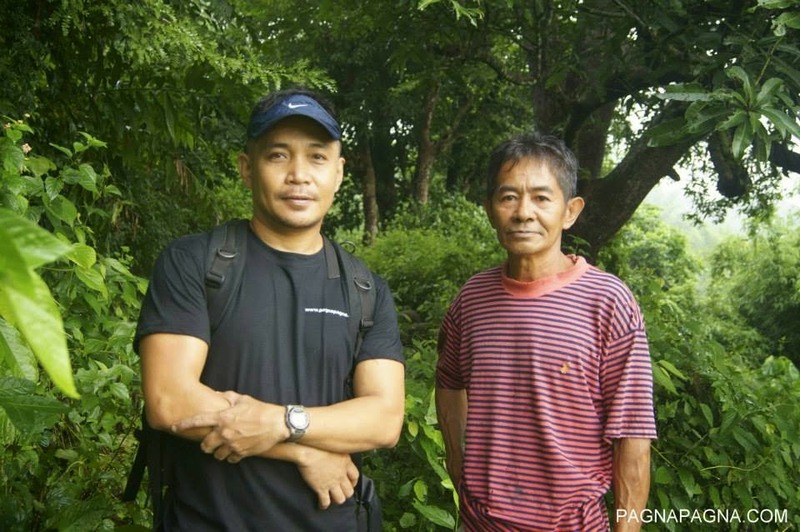 As we met some of them along the way, we would ask if that's the way to Pao Sur and one said it is. Going farther down the road we asked again one of the people we met. "Manang, datoy ba ti mapan idiay Pao Sur?" (Mam, is this the way to Pao Sur?) we asked. "Ay haan a, idiay kuma a" (Oh, it is not, should be that way) she answered pointing at the direction far away at the road where we came down at the welcome arch. Thinking that we were way far from the main road, she added "Mabalin mut ketdi a dita ngem haan ko lang ammo nu masurutan yu ta magna kayo pay idiay kakaykayoan" (You can take this road but I don't know if you can follow the trail within the forest). 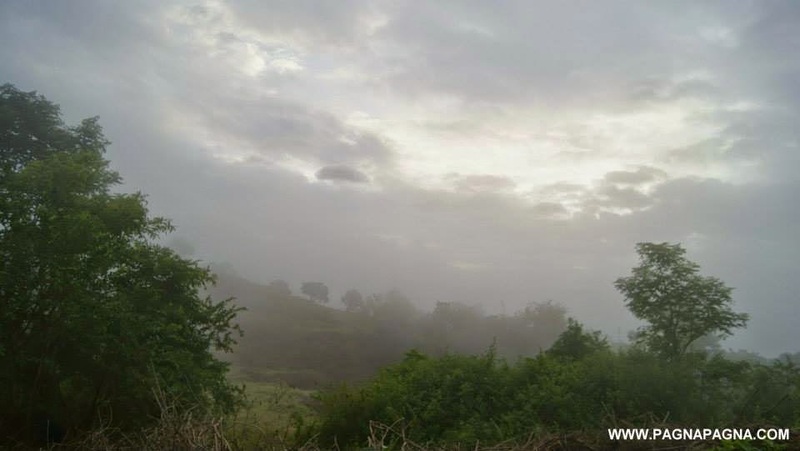 We thanked her and went on down the road until the visible road terminated into a waiting shed and there were two trails, one going on opposite direction of the other (6:31 am). We don't know which one to take and stayed there for a while and waited for someone to pass by. Few minutes passed and the woman we met along came back with a companion. He is with a "barangay tanod" (some kind of Village police). 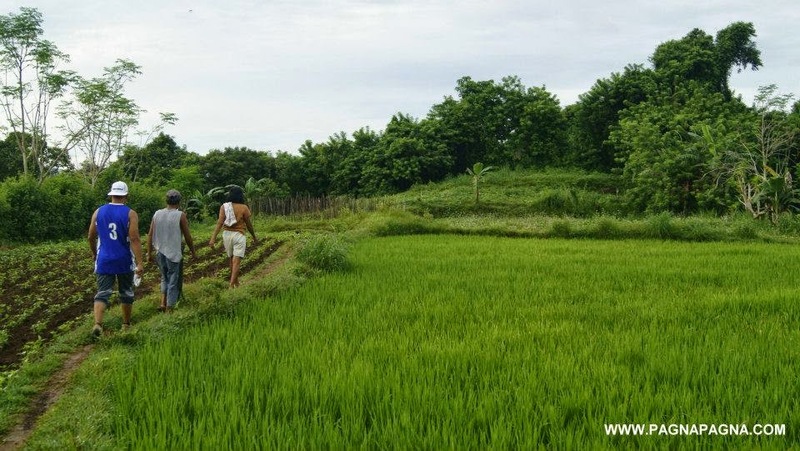 The barangay tanod guided as halfway through the trail then instructed as where to go further. We thanked him and went on along the trail going down the mountain side and into a lone house near a farm. We saw the husband and wife working at the fields and went near them and asked directions. They showed us the connecting trail from the field going further down. We went along the said trail until we arrived at a small steel bridge at a creek (7:05 am). We crossed that bridge and into an irrigation dam. At that point, we do not know where to go again. We may either go further downstream or cross the creek by walking on top of the irrigation dam and into the cemented road. At a distance there was a man tending his carabao (water buffalo), we asked where is the Kibkibulan Falls. 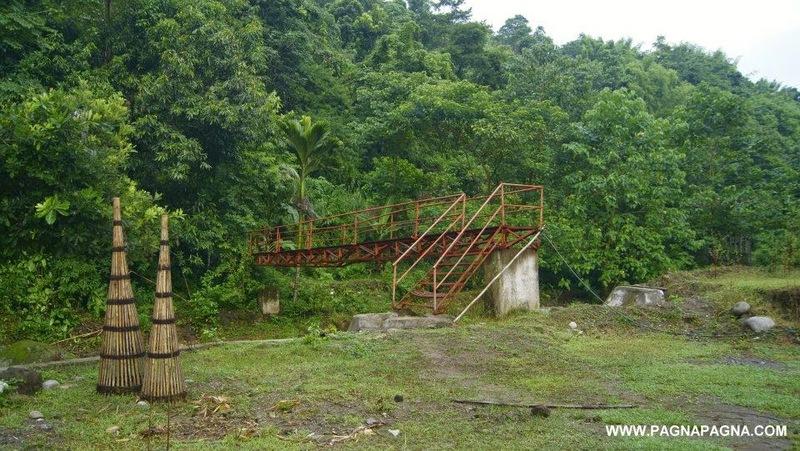 He said "Dita laeng, ag-cross kayo dita talaytayan tapos suruten yo lattan dayta dalan nga adda paggiggaman na dita" (Over there, just cross the creek through the bridge then follow the path with handrails there). We followed what he said and there it was the Kibkibulan falls (7: 12 am). We lingered there for a while and waited for somebody to come. Expecting that some of the barangay people would come and continue working on the huts which i think it was not yet finished at that time. Nobody came and we had the place just to ourselves. After some few minutes we decided to go back (9:23 am), only this time we had a side trip and looked at a smaller waterfalls just nearby. We went back at the irrigation dam. There, we saw at least 5 people working on a small hut at the other side near the road. We crossed the dam and talked to them. We learned that that hut would be a sort of information area or a check point for people (tourist) going to the waterfalls. From the main road, a welcome sign greets visitors at the entrance to the waterfalls. Nearby were women sweeping leaves. All of them were officers and residents of barangay Pao Sur. 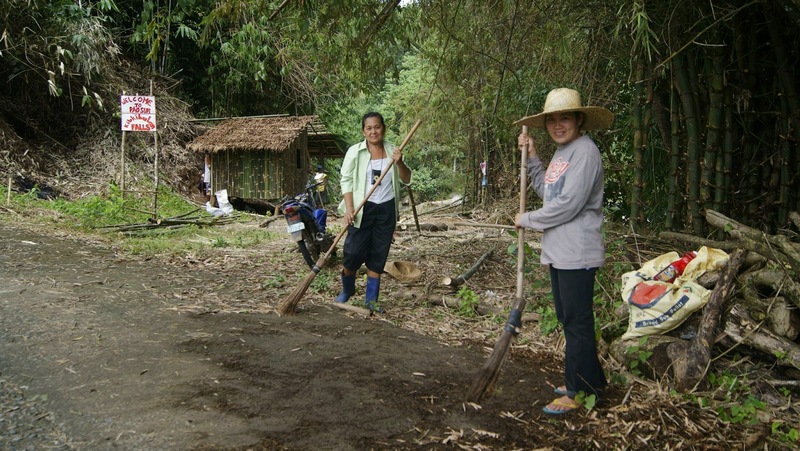 People of barangay Pao Sur cleaning the entrance by the roadside to the waterfalls. We left them (10:10 am) and went on to see the other waterfalls at the next barangay. Ride a jeep going to Pao Sur but at a later time in the day (since there are about 2 jeeps only that ply this route and usually they get down from the mountain barangay of Pao Sur in the morning) or hire a tricycle going to barangay Pao Sur where the Kibkibulan Falls is located (walkable from the barangay hall). Can you swim on it? How long is the trek?